I'm a PA certified English 7-12 teacher. 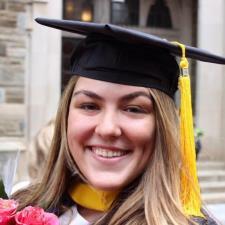 I was graduated by Temple University with a Bachelor's of Science in Education and English. I have experience teaching middle school and high school students in language arts, English, film appreciation and more. My favorite subjects are reading and writing. I did really well on my SAT Verbal and Writing sections and I am excellent at teaching reading and writing, proofreading or brainstorming essays, public speaking and test preparation.